Lacquered Geek: Win a $250 Gift Card from The Nail Polish Blogger Connection! 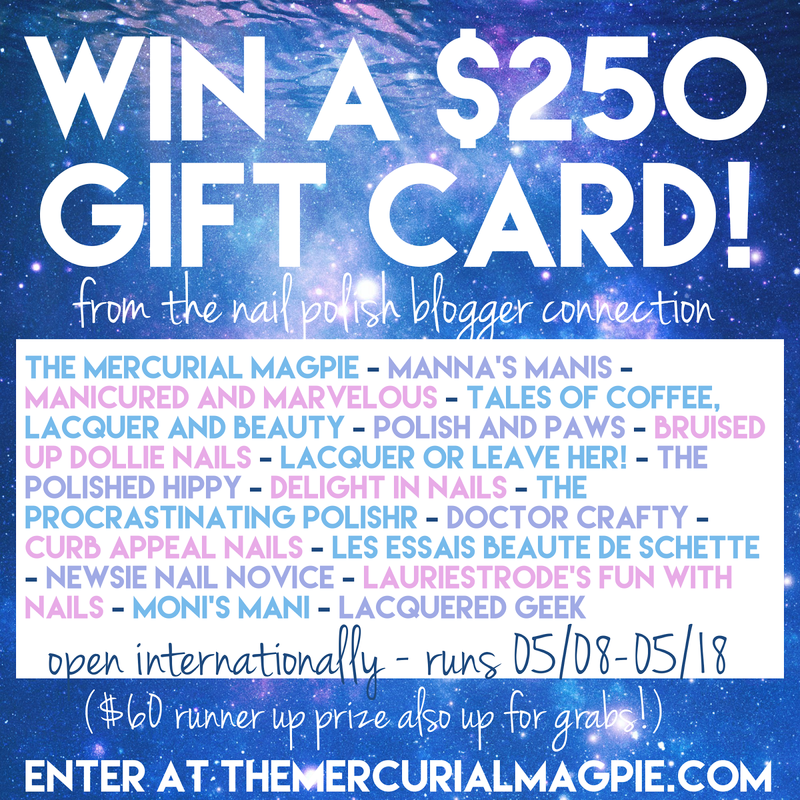 Win a $250 Gift Card from The Nail Polish Blogger Connection! The bloggers over at The Nail Polish Blogger Connection have teamed up for an epic Spring giveaway! Readers have a chance to win one of two awesome prizes! Just click the link above to enter! Good luck!